There are 5 million gmail account has been hacked by Russian hackers. A account detail username and password from Google’s Gmail user database has been leaked online on the bitcoin forum btcsec.om. 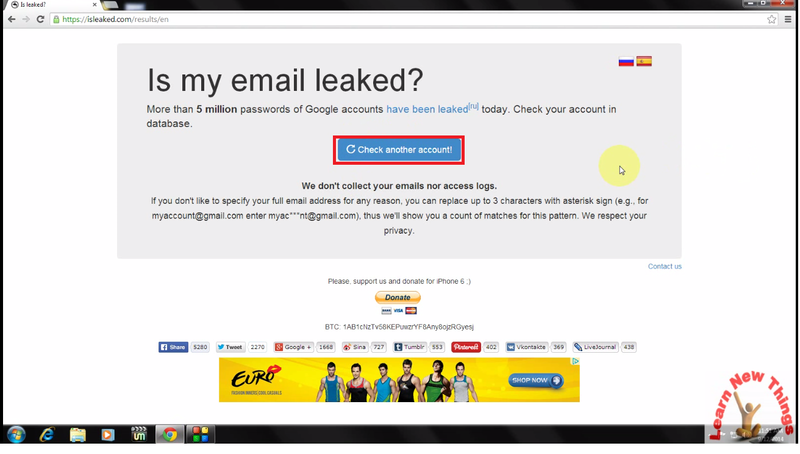 Here you can check your gmail account hacked are not. Just follows the easy steps. 3. Enter your email address “in the box” If you don't like to specify your full email address for any reason, you can replace up to 3 characters with asterisk sign (e.g., for myaccount@gmail.com enter myac***nt@gmail.com). 5. If you got this message Immediately change your password.